If you love to fish, then you know that part of the experience is getting to enjoy your catch at dinnertime. However, if you don’t have the right equipment, then it can quickly turn into a horrible mess that could ruin your appetite if you’re not careful. One of the best items you can have is an electric fillet knife. These devices make it easy to process your fish so that you can spend less time getting it ready for the grill and more time enjoying the fruits of your labor. Today, we’re going to be looking at the best electric fillet knives and how they can make your life so much easier. Whether you fish all the time or just on occasion, having one of these knives will be a smart investment. Although fillet knives can be used for most cuts of meat, where they really shine is working through fish bones and skin. For that reason, you should try to buy a model that is specifically designed for that purpose. This will ensure that you get better results. This model from American Angler is a professional-grade fillet knife that can tear through almost any fish (or other meat, for that matter) with ease. While we would prefer to have a cordless version (the power cord can get in the way), it’s one of the most powerful options on the market. When using electric knives, one prevalent issue is that they can heat up when you use them for too long. Fortunately, the PRO Fillet Knife mitigates this problem with some clever engineering and a design that allows air to flow through. 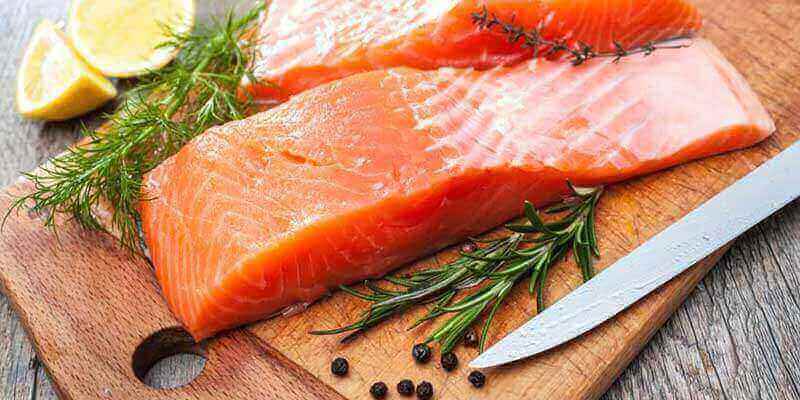 This way you can cut fish or other meats for a lot longer without burning your hand or overheating the system. Buying from American Angler also comes with another benefit. Each handle is compatible with any blade made by the company, meaning that you can mix and match with other fillet knives as you see fit. Thus, you can buy a single version and upgrade it whenever you want to. Overall, if you want power, performance, and reliability, the American Angler PRO is an excellent choice. When it comes to finding the best electric fillet knives, two brands make the top models on the market. While American Angler is explicitly designed to help with filleting fish, Rapala makes these knives for any kitchen. That means that they’re built for cutting a variety of meats, not just those that come from the water. One thing that Rapala is known for is making electric knives that can last a long time. Since this is the brand’s heavy-duty version, you can rest easy knowing that you can cut a variety of meats without burning the motor or wearing it down too much. To help keep the motor in pristine condition, this knife has an open-air design that keeps the internal mechanisms cool, even when you’re cutting for extended periods. This not only helps extend the life of the motor but it ensures that you get reliable performance every time you use it. When compared to other electric fillet knives, this model from Rapala has three times the power and reliability. Although this particular knife only comes with a single set of reciprocating blades, the handle is compatible with a wide variety of sizes and lengths. In fact, you may even be able to cross between brands, meaning that you can get the same performance no matter what you’re doing. Technically speaking, this next model from Cuisinart is not a fillet knife. However, it does offer a meat-carving solution, and it operates on electricity, so it counts in our book. Also, Cuisinart is a top brand known for making high-quality kitchen utensils, so you know that it’s a great addition to have in your cooking area. In this case, the CEK-40 comes with two blades. One of them is for slicing bread, while the other is designed to carve and cut meats. Both of them are made of durable stainless steel, meaning that they are corrosion-resistant and can be cleaned in the dishwasher. One element that we appreciate with this electric knife is that it comes with a woodblock for storage. This component allows you to keep the handle and both blades safely stored until you need them again. Best of all, it includes a compartment for the power cord so that you can save more counter space as well. Safety is always a primary concern when buying electric knives, and this unit helps you stay out of harm’s way by including a locking mechanism on the handle. This ensures that you don’t accidentally turn the unit on, making it much safer for both you and your family than other electric fillet knives. On top of that, the on/off switch is pressure-sensitive, making it easier to use overall. So far, we’ve been looking at corded electric fillet knives. One benefit of being plugged into the wall is that you get more power, meaning that you can cut and slice easier overall. However, the primary disadvantage is the fact that you are tied to an outlet, which can inhibit your ability to get the cuts you want, particularly if you’re trying to avoid cutting the cord in the process. Thus, having a cordless model is a good idea if you want flexibility and versatility all in one. While a battery-operated unit is not going to be as powerful as a corded version, it will still offer enough juice to get the job done. Unless you’re cutting through some extra tough skin or scales, you shouldn’t have any problem with this model. When talking about the battery power of this knife, there are two things to remember. First, it can last up to 80 minutes on a single charge. No matter how much cutting you plan on doing, that should be more than enough time to get it done. Best of all, it can recharge fully in less than two hours, so you’ll be ready to go again quickly. Second, because the battery is lithium-ion, you don’t get any loss of power as it drains. With other battery materials, you will notice when it’s getting low as it won’t operate as effectively. In this case, while it won’t be exactly the same all the way through, you’ll still get plenty of reliability up to the point when the battery dies. As with other Rapala electric knives, this one has an open-air design to help keep the motor cool. Thus, you could theoretically cut for all 80 minutes without worrying about burning your hand or damaging the internal components. Also, the battery is designed in such a way that it won’t wear down too much with each recharge, meaning that it will last longer than some corded units. You can also watch the video. This video shows you how to work this knife. The video created by our friend Team Coldfront. We’ve already seen the power and performance that you can expect from American Angler, but if you don’t necessarily need as much as is offered by the PRO model, then you may prefer something simpler like the Classic. As with other American Angler Electric Fillet Knives, this unit is designed to have more torque and a longer lasting motor. Overall, these products are built to work with professional anglers, meaning that they have to cut through dozens, potentially hundreds of fish in a single day. Thus, you can be sure that you’re getting the best performance possible. One thing that we like about American Angler Knives is that they are interchangeable with other versions. Thus, if you decide that you need a different blade, you don’t have to buy a new handle to go with it. In this case, the Classic version comes with three blades already, but you can add more to your collection and use them all with ease. To help you stay safe, this knife comes with a puncture-resistant carrying case. This way you can keep your blades handy without the risk of cutting yourself or damaging any of your gear in the process. Best of all, the case has a drawstring closure so that it’s easy to bring with you on your next fishing expedition. Part of the reason why these knives are so reliable is the design of the handle. The trigger is pressure-activated for safety, meaning that if you let go, it will stop working. This feature is there to prevent you from cutting yourself too deeply. If you do have an accident, you don’t have to worry about slicing your skin too severely because the knife didn’t stop moving. Overall, while this model is not quite at the same level as the PRO, it’s still a viable option for both fishing enthusiasts and professionals alike. When it comes to Rapala Electric Fillet Knives, you know that you’re getting quality. We’ve seen the heavy-duty version that’s built to cut through scores of meat with ease, and we’ve looked at the cordless model that enables you to slice from any angle without a cord getting in the way. However, if you don’t need a motor that powerful or you don’t want to pay extra for the convenience of a battery, then you will probably want the standard version instead. This is the base model offered by Rapala, meaning that it’s reliable without the extra oomph. Even though this knife is not designed to be as high-performance or versatile as the others, it works well in almost any situation. The open-air handle keeps the motor cool and ensures that you don’t have to worry about burning your hand. It also has a relaxed-fit design that enables you to cut for longer periods without fatigue or cramping. One thing we really appreciate about this version is that it comes with an 18-foot power cord. Most electric knives only have about eight feet of flexibility, so it’s nice to have enough room to move around and make the cuts you need without feeling like you’re held back. For the most part, electric knives are built to be plugged in. While this can seem like a bit of a challenge, you should be able to cut with ease after practicing for a while. Still, having the ability to cut from any angle without being tied to an outlet is always a good thing. Here are some things to consider when choosing a cordless or corded model. Overall, the one thing you have to worry about with a cordless fillet knife is running out of juice. Thankfully, most units can cut for up to an hour or more, but the real danger is if you lose cutting power as the battery drains. If that’s the case, then it could be dangerous because you have to work harder to cut as quickly, which could cause you to move the knife more erratically. With corded models, you want to make sure that you have enough room to move around without getting caught. Also, you don’t want to cut through the cord by accident, so it has to be long enough to give you the flexibility you need. Sure, you can use an extension, but why buy something that has to have an accessory with it? Whether you use an electric or a manual knife, the only thing that matters is the quality of the blade itself. If it’s not built well, then you could wind up with a dull or broken knife that has to be replaced. In some cases, you may be able to find electric fillet knives that come with multiple blades. The advantage to this is that you can cut through a wider selection of meats, and you don’t have to put so much wear and tear on a single edge. Another thing to consider is how easy it is to change blades. If it’s kind of tricky, then you run the risk of cutting yourself every time you swap knives. You want something that will stay in place firmly but also be easy to remove when necessary. Finally, if you have a dishwasher, make sure that your blades are dishwasher safe. If not, then plan on washing them by hand every time. As with any motorized device, electric fillet knives can get hot when you use them for extended periods. Unfortunately, because you’re holding the thing, it can make the experience much more uncomfortable than you’d like. Thankfully, many modern electric knives are working to solve this issue by designing the handle to allow for air to flow through. This way you can be sure that the motor won’t overheat and burn your hand. Even if you’re wearing a safety glove (which you should), you can still feel a hot motor, so it’s imperative that you get a model that addresses this problem. If you don’t, then you’ll have to stop cutting every so often to let the knife cool down. While the airflow and temperature of the handle can be a primary concern, you should also pay attention to how comfortable the knife feels in general. Consider how long you’ll be cutting with it, as well as how often you’re going to be using it. If the knife feels bulky or uncomfortable, it can ruin the experience and make it harder to get the results you want. When choosing the best electric fillet knife, the first thing you should do is figure out why you need it. If you’re an angler and you want something that can help you process your latest catches without any problems, then we highly recommend the American Angler PRO. The fact that it comes with a high-performance motor and five blades from which to choose means that it’s an incredible option for any fishermen. For those who want a more versatile fillet knife that can be used on almost any meat, we like the Rapala Cordless Fillet Knife. Because you’re not tied to a cord, you can do a lot more with this model, and we appreciate that it comes with such a lengthy runtime (80 minutes).